Industry experts agree that effective inventory control is critical in helping dealerships achieve their business goals. Our software solution provides the tools that enable you to achieve the number of inventory turns necessary to maximize profitability. Doing business with your marine OEMS and suppliers is made easy with loadable pricing, online ordering and full barcode recognition. BRP Dealers enjoy full integration with StockPro. Many part lookups start within electronic microfiche applications such as ARI PartSmart, Volvo EPC II, Honda iN Parts Catalog and Mercury Electronic Parts Catalog. Our software solution interfaces with these applications to provide inventory on hand and location information as well as the ability to generate pick lists for ordering. 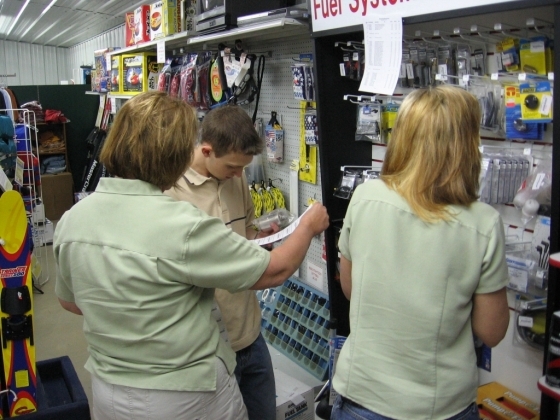 Parts Managers benefit from comprehensive ready made inventory status, overstock/understock and sales reports on a per item, parts group or sales department basis. Dealerships may easily perform mass pricing markups utilizing a factor based on the selling price dollar range to recoup the ever increasing costs associated with freight and fuel surcharges.